In the territory of Olivone there are several oratories, rich in precious sacred furnishings and works of art, now partly exhibited in the Blenian museums of Olivone and Lottigna. In Marzano, the oratory of San Rocco dates back to the 17th century and preserves baroque frescoes in the choir. On the altar there is a painting with the Virgin and Saints Rocco, Christopher, Sebastian and Martin called "Sacred Conversation" (16th century). 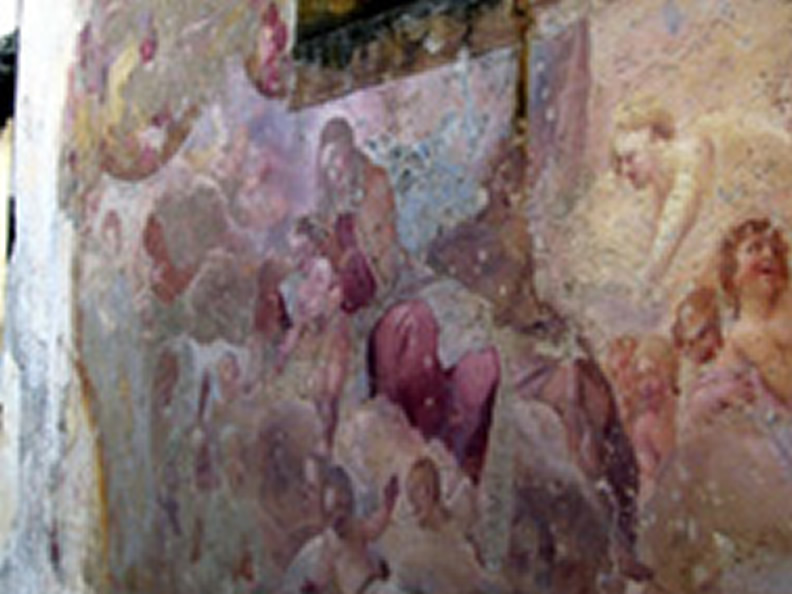 In Sallo there is an oratory dedicated to Saint Bartholomew (17th century) with contemporary frescoes. The oratory of San Colombano in Scona, already mentioned in 1205, is a seventeenth-century building; in the primitive choir there are frescoes by Tarilli. The bell tower is Romanesque. In Sommascona, the oratory of the Madonna delle Grazie, built in the 18th century on a previous religious building, has a façade frescoed by Carlo Biucchi (18th century). In the chapel of the Madonna there are frescoes by Tarilli dating back to 1586. On the 15th century bas-relief wall of painted stucco depicting the Virgin and Child. In Lavorceno, the oratory dedicated to Saint James preserves frescoes from the early 17th century depicting Saint James and Christopher (outside) and Saint John the Baptist with a bishop (inside). The oratory in Solario is dedicated to S. Maria Maddalena. The entrance has a date of 1611. Inside there are frescoes dating back to 1614. The hamlet of Camperio also has its own oratory, dedicated to Saint Defendente.